Thoughtful, minimalist design in amazing Haussmannian Paris apartment, home of Charlotte de Tonnac and Hugo Sauzay, Festen Architects. Saw this magical Paris apartment in the latest issue of Swedish interior design magazine Rum Design (1, 2016) and I fell completely in love! Wish I was cool enough too pull off this interior! 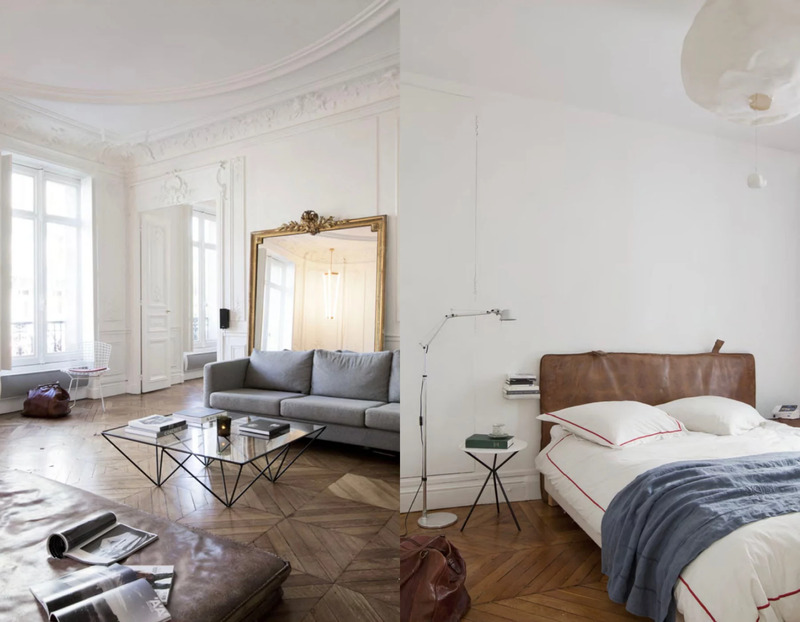 The apartment belongs to the architect duo Charlotte de Tonnac & Hugo Sauzay (Festen Architecture). For more photos, see links below. Såg den här magiska Paris- lägenheten i senaste numret av Rum Design (nr. 1 2016) och jag blev så förälskad! Önskar jag också var så cool att jag kunde ha den här inredningen! Lägenheten tillhör arkitektparet Charlotte de Tonnac & Hugo Sauzay (Festen Architecture) och ni hittar fler bilder, se nedan.